Ai Editorial: Why having a core data asset isn’t enough? The significance of a company-owned core data asset can’t be undermined, but this also means there is an additional onus on travel companies to look at critical areas, be it for privacy of customers, data privacy laws or even the action that needs to be taken in case there is a breach, leak or attack on personal data. This would be a key topic of discussion at the upcoming 12th edition of Ai’s Ancillary Merchandising Conference, slated to be held next week in Edinburgh, Scotland. Considering the recent incidents such as the fiasco featuring Facebook and Cambridge Analytica or The General Data Protection Regulation or GDPR (the deadline for compliance is May 25th, 2018), travel companies have to ensure they abide by data protection rules across Europe or other parts of the world. Responsibility towards travellers: Travel companies need to provide consumers with control over how their data is used. It is time travel companies find ways to request, receive and capture customer consent to the use of their personal data. In fact, in case of the GDPR, coverage of legal bases must feature a “freely given, specific, informed and unambiguous consent by clear affirmative action”, and also a right to withdraw consent, which must be brought to their attention. In case of GDPR, there is a need for explicit and informed consent from EU residents for collecting and using their personal data. In case of a customer data platform, as we highlighted in one of our recent articles, travel companies need to be aware of registered consent when accessing customer data (so data coming from any touchpoint and system, the related computation or processing of data is to be done in sync with consent, assess how the data is being used, what data is being used and for how long that data can be used), address data audits in a speedy, exhaustive manner (say who has been accessing data) and ensure there is consent across all touchpoints (including integration with consent registration databases). The core data asset, say a customer data platform, needs to collect, manage, and store personal data responsibly. This is where the upcoming regulation, GDPR, comes in. Understanding the responsibility as an enterprise: Other than consent, organizations need to assess several other areas. And here also, GDPR, is an apt benchmark to assess the preparedness. What is the definition of personal data? Who all are liable, for instance, GDPR extends liability to all organizations that touch personal data. Understand the implications of being checklist for data controllers and data processors. What’s the checklist? For instance, as explained in the GDPR, controllers have to adhere to compliance measures to cover how data is collected, its use, the tenure for which the same is going to be retained and making sure consumers have a right to access the data held about them. As for data processors, controllers must bind them to certain contractual commitments to ensure that data is processed safely and legally. Processing must be paused if objection is raised by an individual. What is an organization is probed/ summoned/ asked to perform a data audit for a specific customer? How can a customer data platform help in making the most of the available data while complying with both the contractual and technical challenges posed by GDPR? Ai Editorial: How is your GDPR transformation process coming along? Trust around the way personal data is being managed has taken a beating over the few days, post reports about how data featuring “Facebook users” was used for targeting of political ads mainly to aid then-U.S. presidential contender Donald Trump to forecast and tilt choices in one’s favour at the ballot box. According to a report by Reuters, Scott Vernick, a partner and an expert in privacy and data security at the Philadelphia law firm Fox Rothschild, said that Facebook “lost control of the data and wasn’t adequately monitoring what third-parties were doing”. Facebook stated that people knowingly provided their information, no systems were infiltrated, and no passwords or sensitive pieces of information were stolen or hacked. Even though Facebook has defended their position, the impact of GDPR or General Data Protection Regulation on organizations of Facebook’s stature as well as the way personal data is collected and managed is coming to the fore. This regulation places greater emphasis on consumer consent and transparency in the collection and use of personal data. As we highlighted in one of our recent articles, travel e-commerce companies have been assessing their existing level of data protection compliance, as GDPR comes into force on 25th May this year. The impact of this regulation would be extensive, as it applies not just to entities based in Europe, but to any organization that holds or processes personal data of individuals residing within the European Union (EU). The fact that the ICO (Information Commissioner Office), the UK’s independent body set up to uphold information rights, is looking at investigating the use of personal data for political campaigns (with reference to the acquisition and use of Facebook data by Strategic Communication Laboratories, psychology professor at the University of Cambridge named Dr. Aleksandr Kogan and Cambridge Analytica), shows the organizations need to ensure that they don’t get embroiled in any controversy pertaining to data being illegally acquired and used. Elizabeth Denham, Information Commissioner stated that it is important that the “public are fully aware of how information is used and shared in modern political campaigns and the potential impact on their privacy”. Considering that businesses have to keep a vigil on possible criminal and civil enforcement actions owing to any irregularity, it is better to gear up for a regulation like GDPR in an earnest manner. So it would be better to study budgetary, IT, personnel, governance and communications implications of GDPR at this juncture. This would mean businesses not only defend themselves against any potential fine or penalty, but they also ensure the trust of their customers doesn’t get broken. There is a checklist for data controllers and data processors. Certain companies are going to process personal information as both a controller and a processor. So in such cases it is recommended that they complete the required assessments, both for a controller as well as a processor. According to the ICO, organizations might as well get into the details of the new regulation, and how the same would potentially affect their business model and accordingly work on the planning process. 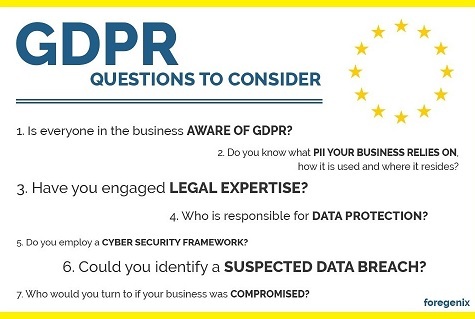 · Senior management needs to be aware that the law is changing to the GDPR and by preparing in a diligent manner it could help them to be accountable possibly for other regions, too. · Be in control of what personal data an organization holds, the source and if it is going to be disclosed to other parties/ partners, who they are. · Clarify and account for basis for processing the data, and the period for which the same is going to be retained. · Be aware of an individual’s rights. 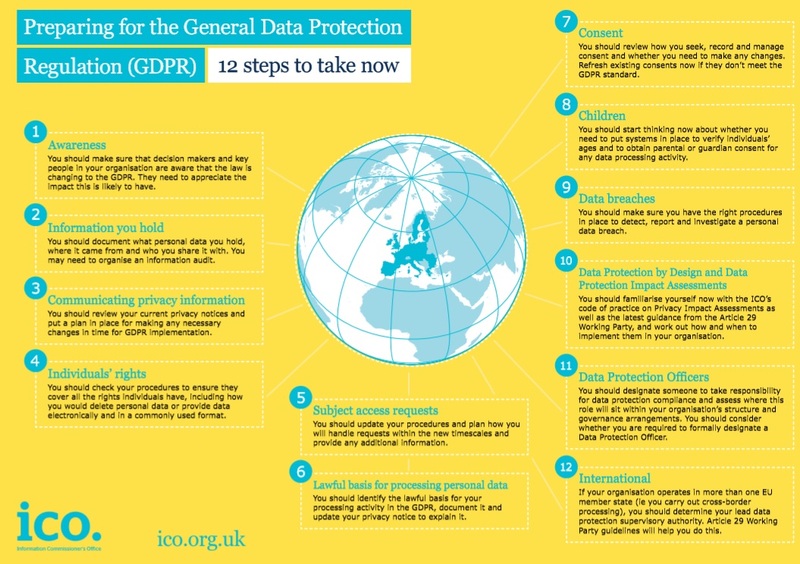 According to the ICO, in case of the GDPR, rights for individuals include the right to be informed; the right of access; the right to rectification; the right to restrict processing etc. · Be ready to effectively detect, report and investigate a personal data breach. Before organizations commit any error, knowingly or unknowingly, better would be to dig deeper into the way personal data is being collected, the source, the processing etc. to ensure they are in control of the situation. And a regulation such as GDPR could well prove to be a new benchmark in areas such as training employees about the new regulations and impacts on data handling and breach notification. GDPR has come at a stage when there is a lack of trust among customers (concerns about privacy, lack of trust in brands among the most etc.). It is also expected to raise awareness among customers about data collection and eventually would encourage them to trust brands. Hear from experts about GDPR at the upcoming Ancillary Merchandising Conference, to be held in Edinburgh, Scotland this year (9-11 April, 2018). Ai Editorial: Is machine learning showing e-commerce the “money”? Airlines are finding ways to have a bigger say in the booking funnel, and one critical way to bolster the same is via machine learning, a technology where computers identify patterns in data. What it essentially means is airlines are taking a comprehensive look at all user activity on their digital assets and then acting on the resulting data to eradicate hurdles in the shopping journey. For instance, how to single out a real shopper who is about to complete a transaction from a fraudster who is trying to trick the system and commit a fraudulent activity? Another area is how to come up with a recommendation about a trip that in all probability would garner the attention of the traveller and get them close to completing a booking on airline.com. So be it for early part of the booking funnel to closing stages of a transaction, machine learning is playing its part in a deeper way than ever. Inspiration phase: It is being highlighted that inspiration leads to conversion. As LikeWhere states, airlines facilitating travellers in the inspiration and planning phase will be best positioned at the booking phase. So rather than offering loads of content, build on a layer of intelligence and display destination images, videos etc. as per the trip motive, lifestyle preferences etc. If airlines don’t act fast (on their own or by integrating their interface with a machine learning specialist), then they are bound to lose. Why? Because Google, Facebook etc. are in an advantageous position, just like Alibaba and Tencent in China. And then online travel groups like Ctrip.com are getting sophisticated with every passing day. For instance, the team at Trip.com, the Palo Alto, California-based company acquired by Ctrip late last year, is counting on their predictive artificial intelligence (AI) to understand various traits of a traveller - personality, interests, style and budget. So what attracted Ctrip in Trip.com? Travis Katz, Trip.com’s co-founder and CEO, referred to – predictive AI technology behind recommendations for travel, based around a bunch of contextual signals, and an engaged community, which has contributed content that complements the core technology. (Read how JetBlue is capitalizing on artificial intelligence for trip planning (via partnership with Utrip, a destination discovery and planning platform that helps in crafting a personalized, hour-by-hour vacation itinerary) and lot more). Monetization: Companies like LikeWhere assert that by engaging right from the inspiration phase, airlines can go for a fruitful association in the form of monetizing clicks. “Once we establish certain parameters with a customer we use machine learning to add value, through informing more contextual recommendations. Our product (recommendation engine) enables airlines to begin their customer lifecycle earlier in the inspiration phase which positions them for the booking/ancillaries – that’s where the monetization is,” says Matt Walker, Chief Storyteller at LikeWhere. By preparing to serve content in an earnest manner, airlines can also benefit to have deeper association that goes beyond air and air-ancillaries. For instance, if an airline knows a traveller is in the middle of a trip (better if the passenger booked the flight itinerary with them), then they can use contextual signals provided by a mobile device to come up with recommendations. So for example, at 8AM the app knows you are most likely looking for breakfast or coffee, and can show you things nearby versus 9PM where it understands you are either looking to go out or plan your next adventure, and adapts the content accordingly. Similarly, if it’s raining where you are, the app understands this, and recommends things to do indoors. These are all signals that are taken into the account. And the ideas are offered in real-time. Improving the conversion rate and managing fraud: If airlines adopt a risk-averse approach to managing card-not-present fraud, then sales can suffer tremendously. Limitations of the traditional rule-based fraud offerings and reliance on manual reviews are coming to the fore. With machine learning, the system understands when to skip rules when positive behaviour is detected. Moving towards machine learning allows airlines to remove all these unnecessary rules that would have otherwise blocked genuine customers. The combination of big data and machine learning allows more effective fraud prevention. With data, including a set that is garnered from airlines, specialists focus on signals that aren’t just related to transactions, but also related to buying pattern, post booking behavior etc. Specialists churn the data through various permutations and combinations to identify potential fraud patterns that may be left behind by fraudsters, who have made micro-changes between transactions in one coordinated fraud attack to trick the system. Using real time pattern recognition, even micro-changes can be proactively identified and tagged to the same fraud pattern group. 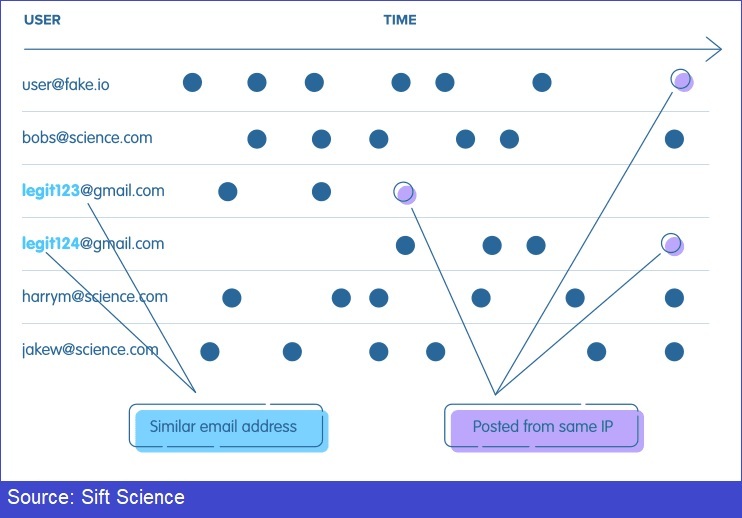 The data that Sift Science leverages includes attributes associated with the identity of a user, behavorial (browsing patterns, keyboard preferences etc. ), location data, device and network data, transactional data, decisions (business actions taken), 3rd party data (geo data, currency rates, social data etc.) plus custom data that is specific to a particular merchant. So the purpose of maximizing legitimate transactions as well as avoiding fraudulent transactions is being served by machine learning. Hear from experts about machine learning and e-commerce at the upcoming Ancillary Merchandising Conference, to be held in Edinburgh, Scotland this year (9-11 April, 2018). Travel e-commerce companies have been assessing their existing level of data protection compliance, as GDPR comes into force on 25th May this year. The impact of this regulation would be extensive, as it applies not just to entities based in Europe, but to any organization that holds or processes personal data of individuals residing within the European Union (EU). What makes meeting compliance challenging is the fact that there is no silver bullet and there is no shortcut to be GDPR compliant. For instance, security experts can help in ensuring the unprotected PII data is identified, whereas marketing technology specialists would ensure how personal data is being used and how to put in place registered consent when accessing customer data. The travel industry will be impacted due to the large volume of personal and sensitive data it processes about travellers. The regulation, which places greater emphasis on consumer consent and transparency in the collection and use of personal data, impacts those entities engaged in administering/ managing personal data within the EU or the European Economic Area (EEA). There are more aspects as for the impact of GDPR on travel organizations, including offering services to citizens in this area, scrutinizing the conduct/ behavior of people as part of data strategy etc. Going deeper, organizations within Europe that are associated with or avail the services of 3rd party companies based outside of the EU/ EEA have to ensure their partners/ vendors comply by the enforcement of GDPR or on behalf of these businesses. To summarize, this regulation impacts data controllers (garner data) and data processors (process data on behalf of a data controller). In November last year, law specialist firm Axiom indicated that that global companies had millions of contracts that needed to be identified and remediated by May 2018, at a cost of over more than $1.06 billion, referring to contracts between controllers and processors. Impact on the ownership of data: Before delving into how the GDPR impacts companies focused on data, the definition of personal data needs to be understood. It isn’t only about conventional personally identifiable information, say a name or an email id. Rather it also features identifiers that may, when combined with other data, identify an individual. Of course, airlines are getting used to this definition of personal data. Businesses have been keen on counting on any signal or identifier that helps them to stitch a profile and know the preferences/ behavior of their customers. So this new ruling will definitely have an impact on how travel companies collect, manage, and store personal data. Considering that we are in the era of a single view of passengers/ travellers, one in which airlines are looking at what’s happening across a user’s every search, what they browse, their booking and journey, airlines need to re-examine the way they manage data, and plan for new processes and technologies enabling the consumers right to “own” their data. GDPR is not only about winning the trust of customers, but it is also having an impact on enterprise-wide functioning. In fact, GDPR is fuelling drive towards the initiative of digital transformation. Also, better compete with data-rich ecosystems or companies, be it for Alibaba, Google, Facebook etc. Winning over the trust of customers: GDPR has come at a stage when there is a lack of trust among customers (concerns about privacy, lack of trust in brands among the most etc.). Plus companies are also pursuing personalization in a big way. But for this to work, data is of paramount importance and consumers won’t share data with companies they don’t trust. GDPR will raise awareness among customers about data collection and eventually would encourage them to trust brands. Expect competition to go down from companies that mishandle/ misuse data. Also, rather than considering security and customer experience separately, this development paves way for a more holistic view of the customer experience. GDPR compliance is a complex journey. A couple of areas that demand attention include keeping a close tab on the use of personal data and breach prevention. Personal data: According to NGDATA (conducted a webinar this week, titled “Maximize the value of customer data within the boundaries of GDPR”), there is a need to be aware of registered consent when accessing customer data (so data coming from any touchpoint and system, the related computation or processing of data is to be done in sync with consent, assess how the data is being used, what data is being used and for how long that data can be used), address data audits in a speedy, exhaustive manner (say who has been accessing data) and ensure there is consent across all touchpoints (including integration with consent registration databases). Breach prevention: It becomes extremely important for airlines to come to grips with their technical and organizational security measures, and appraise their respective cyber insurance policies to ensure they sufficiently cover the costs of a data breach. It is also being highlighted that the regulation requires data controllers to inform their national regulator of a data breach within 72 hours of discovering it, “if the breach is likely to result in a risk to the rights and freedoms of individuals.” As highlighted by Foregenix, the potential fines suggest that “any form of negligence or poor governance where data breaches are concerned is likely to prove extremely costly. And that's without factoring in the cost of legal representation to defend your position”. Being responsible: It is vital to train and educate employees about the new regulations and impacts on data handling and breach notification, and every individual has a responsibility to ensure their role doesn’t contribute to the leakage of PII. According to Foregenix, being aware of what data a business requires, how it is used and how it flows around the organization will be essential for achieving and maintaining compliance with GDPR. Also, security awareness training modules including one for GDPR can help in preparing the whole team. The introduction of new fraud prevention methods is keenly followed in the travel e-commerce sector. Cutting down on the vulnerability, be it for data breaches or friendly fraud or card not present fraud (CNP), is high on the agenda of travel merchants. On the flip side, if the fraud prevent strategy ends up being too defensive, then predicament pertaining to blocking of genuine customers surfaces. One area that needs attention is the usage of blacklists. The rejection of legitimate travel shoppers is indeed a big issue, especially considering the fragmented nature of shopping in this category which tends to culminate after heavy research spanning over multiple sessions in case of a typical holidaymaker. And from the customer experience or conversion perspective, if such rejection takes place on airline.com then it would mean losing out on the shopper after battling for the same with OTAs, meta-search engines etc.! A case in point: a Singapore-based traveller, who is a tennis enthusiast, intends to visit San Francisco. He has finalized his trip and keen on shopping for tennis-related goods. He decides to get them delivered at a hotel in San Francisco he has chosen to stay. Why? Because he would save on shipping-related expenditure by choosing this option. So what might have been a crucial to-do-list of a holidaymaker’s much-awaited trip, it simply gets ruined due to inefficient fraud detection system. Specialists point out that such authentic buyers can suffer and their orders do get declined as certain shipping addresses can pose glitches for fraud review systems. As it turns out, a number of seemingly dissimilar orders all being shipped to a particular address can be considered to be an aberration. And if one bad or illegitimate order is shipped to one such property, then this address might end up being marked on a blacklist. Initiatives related to spotting suspicious shopping and keeping them at bay by evaluating all the transaction details and adding them to a blacklist isn’t a new practice. This is generally done for cases where a merchant had to face a chargeback, and to block such shoppers again, they are blacklisted and prevented from placing another order in the future. As the team at Riskified points out, blacklists can be useful in certain cases, for instance stopping spam email. But when it comes to CNP, it isn’t spam. The team asserts that an airline or any travel merchant using blacklists needs to probe and assess the overall false decline rate, the frequency of analyzing and updating their respective blacklists and to what their top-line revenue is getting impacted. Blacklists rarely work because hackers will never use the same credit card information twice, while whitelists (skip the review process and are instantly approved – often result in high chargeback rates) are inaccurate since whitelisted customers can be compromised anytime. Whitelists can be an oversimplified solution to improving fraud review accuracy. Also, historical data (which blacklists are categorised as) lose relevance very quickly in the face of unknown cyber threats, since it is difficult for the machine to predict new fraud attacks without any prior information. According to CashShield, real-time machine learning can help against blanket blacklists and whitelists by focusing on the customer’s behaviour instead. It works with real-time live data collected on the merchant’s website, where the system trains itself with each incoming transactions to identify fraud patterns instead. The team at Riskified underlines that a healthier way to combat fraud is to proactively spot fraudulent patterns using dynamic tagging and linking, and focus on sophisticated fraud detection models. It is time travel merchants avoid taking steps that are in general reactive and probabilistic solutions. Rather there is a need to cut down on the probability of holding up transactions via a manual review or worse blocking them entirely. 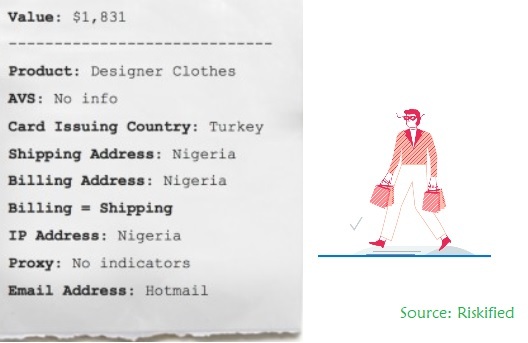 So rather than blacklisting, merchants can capitalize on intelligence, say unique data points that an email address provides. It could be name matching, IP address etc. In fact, email ids are part of essential details that are garnered for almost every transaction. Hear from experts about e-commerce fraud at the upcoming “Getting Ahead in the Digital Age - 12th Airline & Travel Payment Summit”, to be held in Miami (24-26 April, 2018). The Ai’s Travel Fraud Prevention Symposium in London, being held in London today, underlined the threats that travel merchants need to deal with. Threat of loyalty fraud looms large with data breaches and stolen credentials: Airlines need to prepare diligently for the threat of account takeover or ATO, especially considering their business falls in the “high ticket value, with a low margin” category. Why ATO is proving to be lucrative for fraudsters at this juncture? There are multiple reasons behind this. First, this type of fraud can be more valuable than credit card fraud. Second, organizations don’t have stringent measures in place to fight against ATO. As the team at Sift Science points out, the time available to exploit the information before detection is typically longer. Third, this type of cheating isn’t easy to detect. Since the account already exists and is related to a genuine customer, the fraud is relatively tougher to spot and the fraudster has more time to operate before they are caught. ATO in the loyalty space (featuring airlines, hotels etc.) is coming under scrutiny owing to data breaches. 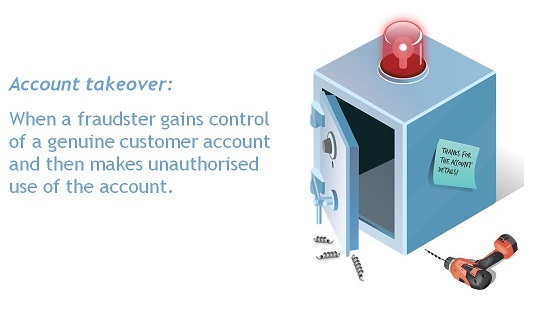 Password stealing tactics pose a risk to all account-based online services. Airlines need to look for more protections beyond just passwords. The claim for owning an account needs to be handled carefully. Machine learning comes in to understand the user behavior. Even as credentials have been stolen, it is imperative for organizations to bolster the authentication process. This way the risk of loyalty fraud can be minimized. So it comes to down to authentication and one of the tools is machine learning. Friendly fraud – a battle that still isn’t easy for airlines to cope up with: Friendly fraud remains probably the biggest challenge and quite often the significance of an effective fraud mitigation strategy is underlined. Friendly fraud refers to “fraud that is committed when an individual had knowledge of and/or was complicit with and/or somehow benefited from the transaction on their own account, although the individual reported the transaction as unauthorized”. This type of fraud is a major issue for merchants as it can be tough to detect at the time of purchase, the chargeback process does not adequately address friendly fraud, and also it is time consuming to fight against the same. “The predicament (pertaining to friendly fraud) is getting worse,” says a senior executive. The executive pointed out that the available data is limited. Merchants definitely suffer from industry-wide lack of transparency. Their stance is feeble as there are plenty of factors outside merchants’ control that influence their reluctance to make a more substantial effort. “There is hardly enough information available pertaining to chargebacks and friendly fraud. This means there isn’t a strong foundation to bank on, to comprehend the situation. It’s challenging to amass authentic information on the matter without substantial contribution from banks, card networks, and merchants,” added the executive. Managing transactions and fraud with new tools…be realistic with expectations: Managing revenue and fraud shouldn’t be about adding friction to transactions. One needs to set right expectations from initiatives such as Dynamic 3DS and biometric authentication. Many fraud prevention methods introduce dilemmas between maximising revenue and minimising fraud – e.g. with more rules, implementation of 2FA or multifactor authentication fraud rates can be lowered, yet more genuine customers will be blocked; on the other hand, with less rules and lax authentication to maximize revenue, merchants will be more vulnerable to fraud attacks. Merchants should still develop their own fraud tools that are able to tap on their own sources of data for greater efficiency and more accurate detection of fraud. It is imperative for airlines and all other travel e-commerce players to study in detail the utility of emerging tools and technologies. What is going to be their role in managing criminal fraud, friendly fraud, chargebacks etc. and the same time how they impact the customer experience at the time of making a transaction. Trapped in risk-averse fraud strategy? Stop focusing only on rules-based approach! : The shortcomings of the traditional rules-based approach for fraud prevention continue to get highlighted. At a time when the efficacy of fraudsters and hackers in cracking areas of vulnerability is on the rise, it is imperative for merchants to improvise and sharpen rules on the fly. If an entity is heavily following rules-based methodology, then the main KPI would be to cut down the fraud rate as close to zero as possible. At the same time in many borderline genuine transactions would fail to pass through. Rather the focus needs to be on - rely on an algorithm to make decisions to optimize sales as much as possible while keeping fraud and chargeback rates under control. Data breaches and compromised credentials are on the rise, and the task of a Chief Security Officer (CSO) or Chief Information Security Officer (CISO) is becoming more challenging to safeguard against takeover of loyalty accounts. 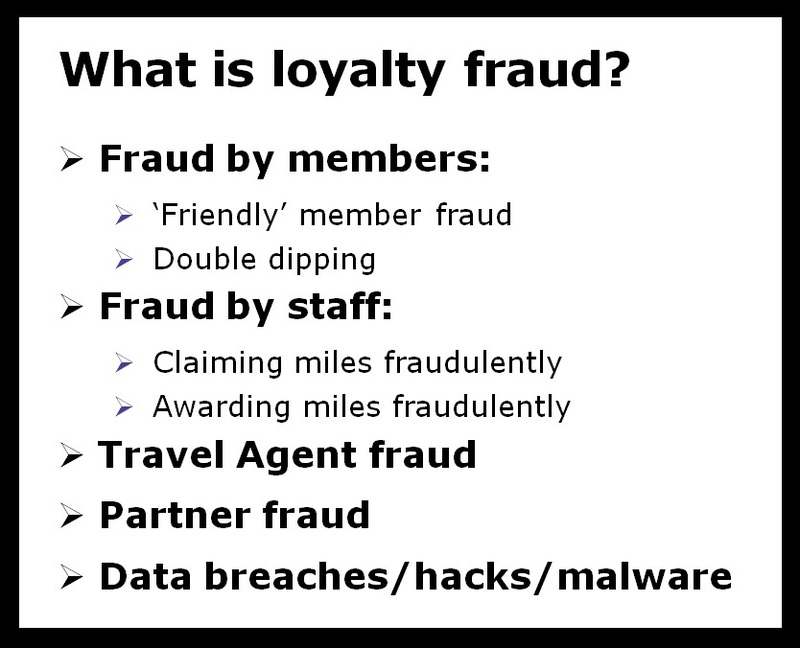 According to a recent study by Connexions Loyalty, travel accounts could be quite valuable on the dark web (airline loyalty accounts: $3.20-$208 each). As Sift Science highlighted in one of our recent articles, in most likelihood, every one’s credentials have already been compromised, and it is imperative for e-commerce companies to strengthen the “authentication” aspect, and damage can be controlled as far as account takeover (ATO) or gaining access to a loyalty account is concerned. And one of the main tools for the same today is machine learning. Lee, a speaker at the recently held Loyalty Fraud Workshop in Palm Springs, California, added that machine learning can look at the entire span of an account and look for anomalies. A human analyst’s capabilities are restricted, evaluating a certain number of signals at a time and come up with a verdict. “But there is enough data out there and that’s really when machine learning comes into play. With thousands or tens of thousands of members in a loyalty program, machines become smarter and identify anomalies (in usage of accounts or user behavior).” So by identifying anomalous areas within large data sets, one makes intelligent judgments accordingly. Companies can defend themselves adequately by using a tool like machine learning, and at the same time there needs to be reliance on rules and the human component (intervention and feedback) as well. “All of this works together in conjunction to deliver the best results,” said Lee. Other than putting in place strong measures for authentication (related to accessing accounts), Lee recommends that there needs to be analysis to assess whether there is any problem with the system yet. What is the current level of account takeover on the platform? “What sort of data are companies tracking and measuring? And this isn’t related to fraud or ATO purposes, but in general. So many organizations don’t have grasp over their own data. So it becomes tough to assess how big the problem is. So the first area that needs to be assessed is around data quality and data volume in terms of how clean that is,” he said. Once a virtuous data pipeline is in place, it can be built upon with machine learning models, with rules, and create tools to help the team analyze the ATO problem. How about data from airlines specifically? Lee said this is a crucial area. There are signals that fraud prevention specialists lookout for. And this is just not related to transactions, but also about buying pattern, post booking behavior etc. With the data collected, one can churn the data through various permutations and combinations to identify potential fraud patterns that may be left behind by fraudsters, who have made micro-changes between transactions in one coordinated fraud attack to trick the system. Using real time pattern recognition, even micro-changes can be proactively identified and tagged to the same fraud pattern group. The data that Sift Science leverages includes attributes associated with the identity of a user, behavorial (browsing patterns, keyboard preferences etc. ), location data, device and network data, transactional data, decisions (business actions taken), 3rd party data (geo data, currency rates, social data etc.) plus custom data that is specific to a particular merchant. · On-site behavior: Site data including mouse cursor movements or every single step of that journey is collected and analyzed to reveal insights into users’ traits. It can all be relevant information collected and used. “With enough data it can be observed that the average person – when they redeem gift cards or loyalty points, most likely that’s not their first time. People tend to take their loyalty program or points/ miles seriously. Even before the transaction takes place, with machine learning one can map the holistic behavior. So one keeps on checking a particular redemption option and when they have enough currency, they go for it. It might take them months to complete this. So these are all good indicators. On the other these are missing in account takeover (instances),” said Lee. · Post transaction behavior: So let’s say if a ticket from an airline or an OTA has been bought or redeemed, a legitimate user can email the same or share itinerary with their family or friends. “But in case of a fraudster this generally doesn’t happen,” said Lee. “A city pairing, time of the day, seasons…there could be a flight booking that might be risky, and another might not be risky at all. So a combination of factors can come into play,” said Lee. The team has also worked on a set of capabilities that enables one to build custom fraud processes with less code. The power of machine learning is still in the supervised state, asserts Lee. Typically, supervised machine learning focuses on a cycle of training, predicting, and acting stages. “(The industry) is still sometime away from functioning in an unsupervised way,” he said. When you have humans involved or there are known “bads” such as chargebacks, the system can learn quicker in such supervised environment. “Unsupervised machine learning tends to be less accurate (in comparison). It is lower maintenance of course.” Sift Science uses an array of predictive models, including ones specific to a business plus network models because spotting bad behavior on one site helps to identify it on other sites as well. As for not being vulnerable to new types of fraud attacks, companies like Sift Science look at how fraudsters are trying to break existing system controls and rules. So with reference to finding a way to attempt a fraud via email id or address by to circumventing the controls enforced, data normalization coupled with n-gram analysis extracts the key substrings in the data field to identify repeatable data patterns. And that’s one example of how machine learning plays it part. 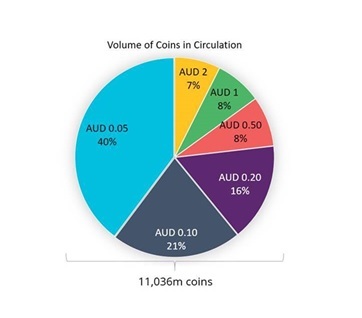 What's happening to coins in Australia? As Australia rapidly adopts electronic payments, give a thought to what is happening to all of those coins that we once used, but which are now replaced by eTickets on transit, eTolls on the roads, payment cards at parking meters and vending machines, and the soon to be launched New Payments Platform - let alone the loose change that you used to receive at the retail check-out, which has now been replaced by the exact tender you pay on a contactless card. A 2014 report written by our payments consulting team at The Initiatives Group for the Australian Payments Clearing Association (The Australian Payments Association changed its name in 2017 to Australian Payments Network. The report was called “The Evolution Of Cash, An Investigative Study”, published in July 2014) noted that, even at that time, 50% of both 5 cent and 50 cent coins on issue were being stored in jam jars rather than used in everyday payment usage - what might those percentages be today at the start of 2018? A coin is a piece of metal or, rarely, some other material (such as leather or porcelain) certified by a mark or marks upon it as being of a specific intrinsic or exchange value. Coins have been around for a long time, and also last a long time (Roman ones are still being found). The use of cast-metal pieces as a medium of exchange is very ancient, and probably developed out of the use in commerce of ordinary ingots of bronze and other metals that possessed an intrinsic value. Until the development of bills of exchange in medieval Europe and paper currency in medieval China, metal coins were the only such medium of value exchange. Despite their diminished use in most commercial transactions today, coins are still indispensable to many modern economies. But given the longevity of coins, does Australia already have enough coins on issue today to last it forever more? If so, what happens to the Royal Australian Mint (and other Mints in a similar position in economies where electronic payments are eroding the use of cash), whose job for many decades has been to produce coins from bare metal? Is another part of Australian manufacturing prowess to disappear? Fortunately management at the RAM has been rapidly diversifying its business, and today the RAM generates significant revenue from tourism, the production of commemoratives (coins, medals & medallions) and the production of circulating coins for other countries less far along the adoption curve of electronic payments. But it does still produce new circulating coins for Australia, albeit in ever reducing quantity. Given that the RAM (unlike the Reserve Bank of Australia with its banknotes) has no legal requirement to take back surplus Australian coins, what is going to happen to all of that “hip pocket shrapnel” as it starts to build up in bank vaults around the country? There were 11 billion coins, worth $3.7 billion, in circulation in 2015, with the value of coins in circulation increasing by 2.8% in 2014/2015, slightly below its 5 year growth rate of 3.4%. As shown in the diagram below, 40% of the circulating coins are 5 cent pieces (albeit only accounting for about 6% of the value of the coins in circulation) , which are rarely seen in retail commerce today and are likely to end up in the jam jars referenced above rather than being re-used in payment for a purchase. The problem of what to do with those coins in circulation in Australia that may now be surplus to requirements is compounded by seigniorage. Seigniorage is the difference between the face value of the coin or the banknote and its production costs. In the case of the RBA, the issuance of a new banknote leads to a liability being raised on its Balance Sheet in case that banknote is returned, and the seigniorage held as an asset to help fund (at least part of) the potential repurchase of the banknote; hence the RBA should be relatively ambivalent as to whether “excess” banknotes are returned to it or not. Hence the RAM is potentially “reluctant” to the concept of taking back “excess” coins due to the loss that will be incurred on its Income Statement (with a commensurate outflow of funds), as it will need to pay face value for each coin and the coin’s metal content is almost certainly worth a lower amount. This understandable lack of interest by the RAM in “repatriating” the surplus coins is therefore likely to see a build up of coins held by the commercial banks around the country. One could surmise that, as the commercial banks’ investment in this unnecessary and unproductive working capital of surplus coins grows, the commercial banks will begin to energise requests to the Department of the Treasury (to which the RAM reports) for a “buy back” - albeit one which is likely to see the RAM generate a loss. In the meantime, a period of stalemate might occur until this pressure builds. With Australia leading the world in the adoption of contactless card payments at retail (in terms of the number of transactions per adult per year), which have been very potent at eroding the use of cash, the experience of the RAM over the next few years in handling the surplus of circulating coins will be watched closely by many other Mints around the world, who may themselves be in a similar situation before too long. The role of data in stepping up the conversion rate and curbing fraud is coming to the fore. The traditional ways of removing pain points of shopping as well as managing fraud have largely been reactive measures. But, with the availability of relevant, real-time data, a more proactive approach is improving efforts in this arena. 1. Sector-specific analysis: As e-commerce entities, airlines need to dwell on sector-specific data analysis, for instance, gaining understanding of the user profiles that shop on airline.com. Specialists recommend that specific data fields such as loyalty miles claims can be assessed to check for any irregularity. Similarly, the words per minute typed, the movement of the cursor around the site etc. is being evaluated, rather than only focusing on the card blacklist. Real-time data from airline.com can also help in curbing fraud. Blacklists rarely work because hackers will never use the same credit card information twice, while white-lists are inaccurate since white-listed customers can be compromised anytime. Real-time machine learning can help against blanket blacklists and white-lists by focusing on the customer’s behaviour instead. It works with real-time live data collected on the merchant’s website, where the system trains itself with each incoming transactions to identify fraud patterns instead. 2. Authorization rates: Among the other areas, data is being relied upon for improving upon the authorization rates. As highlighted by Adyen, on average, 5%-15% of ecommerce credit card transactions are rejected by issuing banks, and out of these, a quarter don’t work due to shortage of convincing reasons, mostly due to old and inefficient systems. And in certain markets, authorization rates across issuers take a dip because of suspicion of fraud. In this context, it is imperative to bank on data to evaluate the main reasons behind those declines and take appropriate initiatives. For instance, one areas that could be looked upon is - issuer-specific authorization rate trends. These actions may include optimizing the type of data submitted or identifying optimal routing for a given transaction. 3. Evaluating the next buy: Adyen has also indicated that it is gearing up for shopper-centric reporting and this would help in analysing the next buy, and when and how the purchase will be made. 4. Data from multiple sources: Other than unique merchant data for airline-specific analysis, travel e-commerce players can also capitalise on industry-level data. This could be details about synchronized fraud incidents, which may be shared across various carriers as all of them are equally susceptible to coordinated hackers/ fraudsters. Industry data on existing or current fraud attacks can also be useful information to share from airline to airline, but both types of data should be collected for analysis of anomaly detection. In fact, the way various sectors have shared data to control payments fraud, the same is gaining traction for a relatively new malice - loyalty fraud. This is important as hackers or cyber criminals have shifted their focus to loyalty fraud. The plan is to spot loyalty fraud patterns and potential fraudulent loyalty transactions. The fraudsters are leveraging loopholes as seen in the case of data breaches featuring even established airlines. So be it for loyalty or any fraudulent transaction, the more data that is collected, analyzed and linked, the more likely airlines and other merchants can avert the danger. It is quite possible for offenders to use stolen credentials across multiple merchants. 5. Only historical data isn’t enough: It is time to look beyond traditional machine learning that tends to only rely on historical data for training the system. So limitations of acting on previous attacks have to be ascertained. Since supervised machine learning creates probability scores for each transaction, this means this method results in manual reviews as well. Due to the need for manual reviews, rules-based systems also start to show cracks at high volumes, and curtail an airline’s ability scale on demand. On the other hand, the promise of unsupervised machine learning, too, needs to be scrutinised closely. It lets the system learn on the fly with real time data collected. Specialists recommend that airlines should take control of their payment data, which should not be restricted by default. So closely look at the country, industry, and type of device that is used, and cater their payment offering accordingly. This data can merged with big data, so that organisations can work out a robust data strategy for curbing of fraud, analysing user behavior to assess the overall shopping pattern etc. Also, by working on their own fraud tools that are able to capitalize on their own sources of data, airlines can even challenge the efficacy of existing mechanisms. For instance, being realistic with Dynamic 3DS, the same is controlled by card issuers and is therefore still working with the same set of data as before. They are unable to tap on the merchants’ data for more information on fraud. But armed with their own data, airlines as merchants can improve upon their situation. Airlines need to update their fraud management systems with information from both internal and external sources, including chargeback data, information traded on the dark web etc.